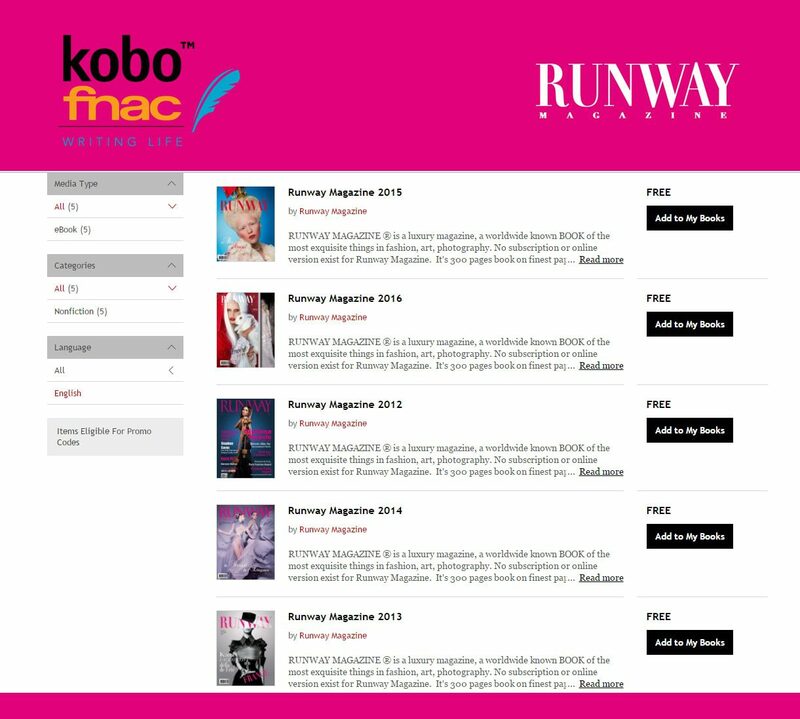 Runway Magazine Digital issues. 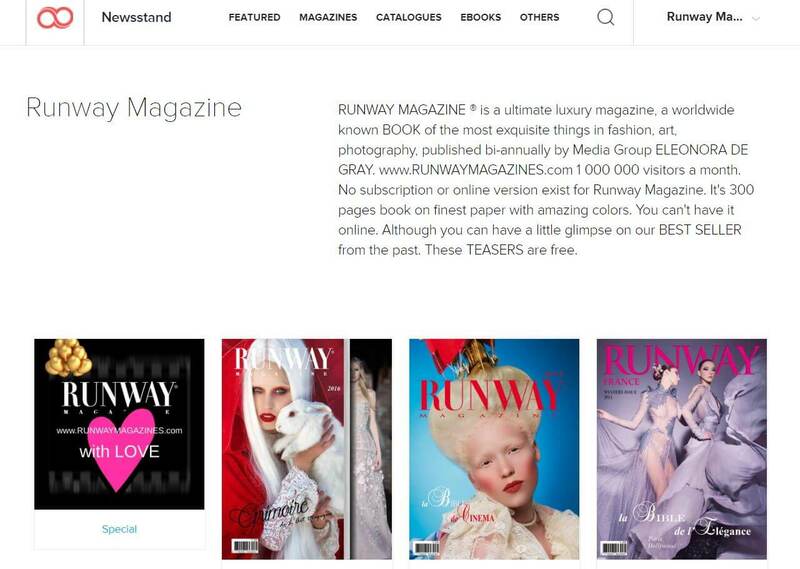 RUNWAY MAGAZINE ® is a luxury magazine, a worldwide known BOOK of the most exquisite things in fashion, art, photography. 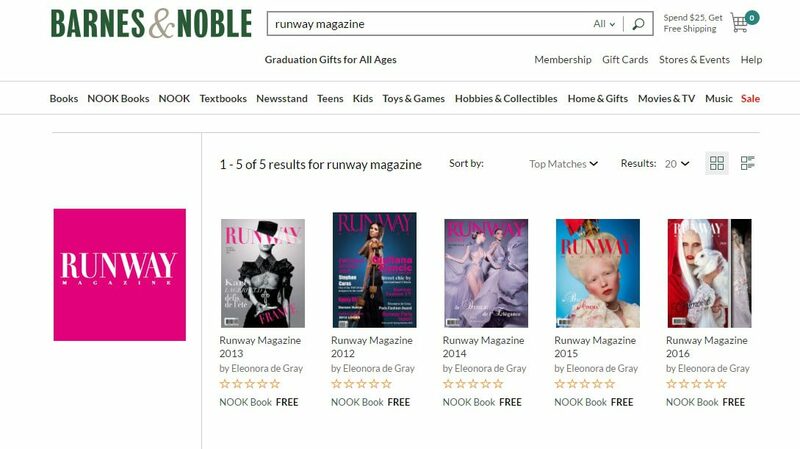 No subscription or online version exist for Runway Magazine. It’s 300 pages book on finest paper with amazing colors. You can’t have it online. Although you can have a little glimpse on our BEST SELLERS from the past. These teasers are FREE. Every new issue is an experience and amazing adventure you have to be ready for. in USA in Barnes & Noble.